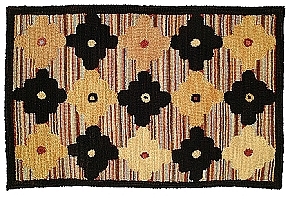 H 665 Carey 2' x3' Hand Tufted Wool Rug (CLICK SIZE BUTTON FROM DROP DOWN MENU BELOW TO SEE SIZES AND PRICES). H665 CAREY. 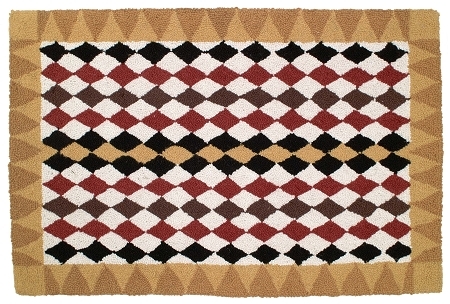 Inspired from mid-century design, Carey is a bold rug made up of black, gold, maroon, and cream. Perfect for that Mid-century mod house. Has a very masculine feel. 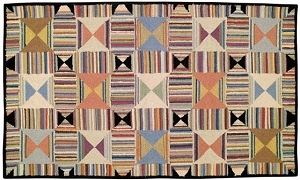 Hand hooked wool rug with a cotton cloth backing.